Apple Crisp An Old Fashioned Dessert. 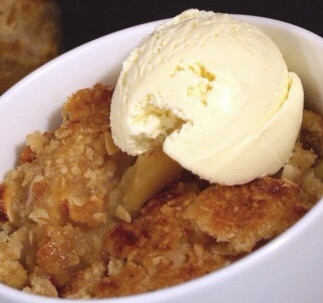 Apple Crisp is a go to recipe when we have an abundance of apples. 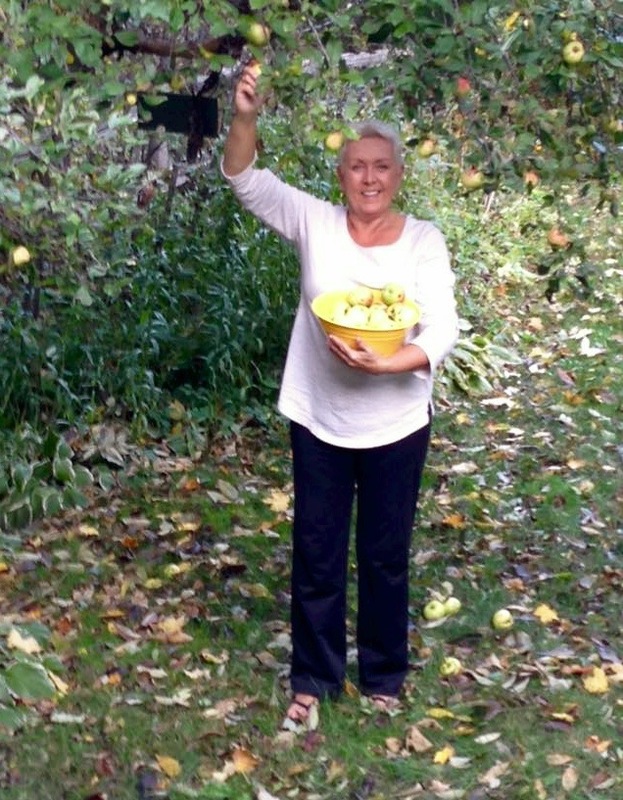 This year we foraged so many apples that we promised we’d share all our best recipes with you. We like to make a batch of these crisps and freeze them so we can grab one and bake it off at a moment’s notice. Today’s recipe makes 4 mini crisps or it will make one family size. Lets get started. Peel, core and slice the apples, place in a large bowl and add all but the butter. 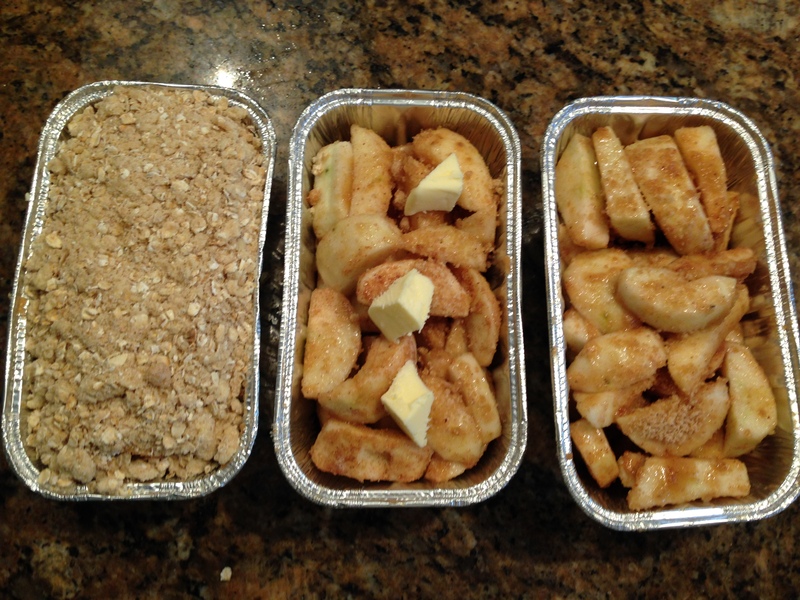 Divide into 4 mini foil loaf pans or place in one deep casserole for a single dessert. 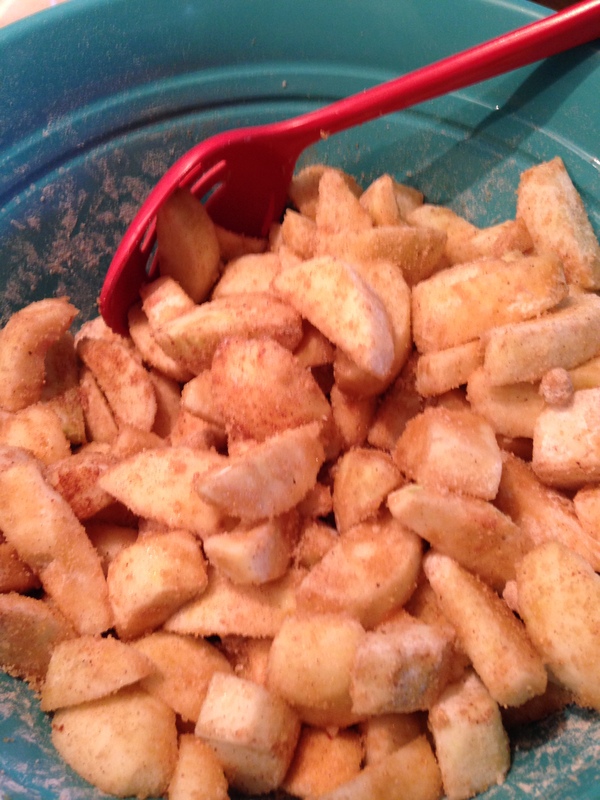 Dot each crisp with the little butter cubes. Sprinkle the crumb topping onto the fruit filling and cover with cling film and foil if freezing or pop into the oven at 350F until the filling bubbles up through the crumbs. This can take from 40 minutes to an hour depending on the size of the crisp. Top with freshly whipped cream or quality ice cream and serve.